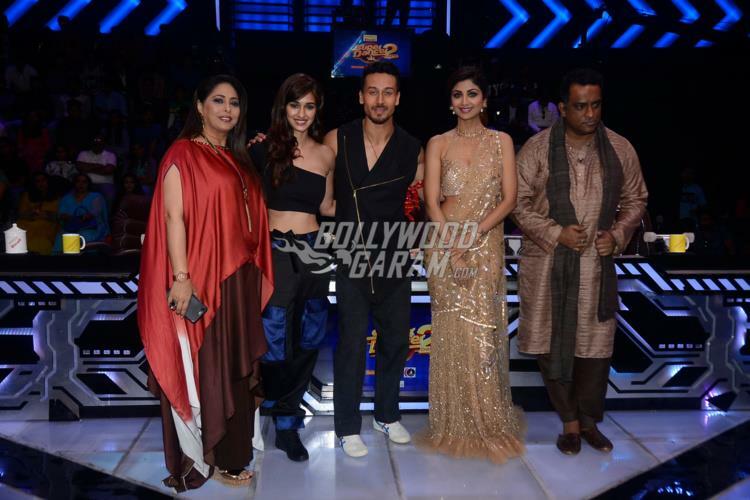 Young actors Tiger Shroff and Disha Patani promoted their upcoming film Baaghi 2 on the sets of the popular show Super Dancer 2 in Mumbai on March 12, 2018. This will be the first time Disha and Tiger will be seen sharing the screen space together. Tiger and Disha are known for their dancing skills, so the two had a great time showing off their dancing skills along with the contestants of the show. The Heropanti actor looked dapper in a black sleeveless jacket and black pants while Disha was seen in a black crop top and black and blue cargo pants. 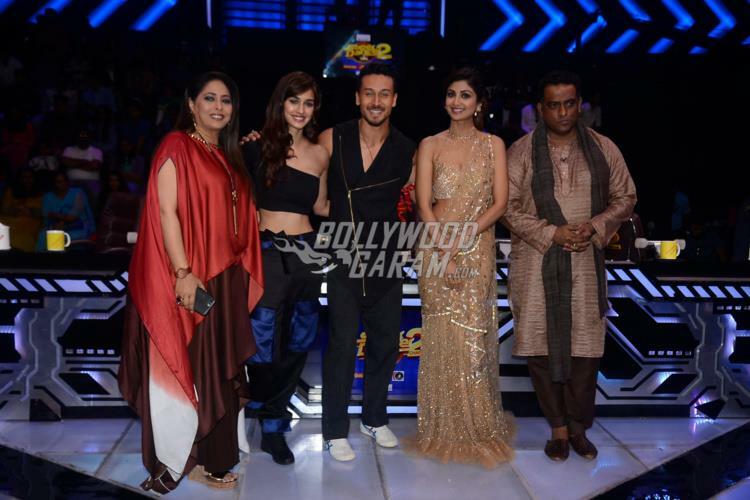 The show also saw the presence of Shilpa Shetty, who looked gorgeous in a golden sari. The film Baaghi 2 also stars Pratiek Babbar, Randeep Hooda and Manoj Bajpayee. Baaghi 2 is co-produced by Sajid Nadiadwala and Fox Star Studios under the banner of Nadiadwala Grandson Entertainment and is directed by Ahmed Khan. Jacqueline Fernandez will be joining the cast for a special song which will be a recreation of the iconic song Ek Do Teen from the film Tezaab which was performed by Madhuri Dixit. Baaghi 2 is ready to be released in theatres on March 30, 2018.